And now for the grand finale! Fuerza Bruta is scheduled to close off-Broadway at the Daryl Roth Theatre on August 28. The international experience began performances in New York in 2007 and will have played over 3,000 performances by the end of its run. The immersive production will continue in Buenos Aires, and a touring company is currently playing in China. Tours throughout the U.S. and Argentina, as well as productions in Milan, Istanbul and Bucharest are also in the works. Fuerza Bruta is an Argentinean-founded spectacle-based experience created by artistic director Diqui James and musical director Gaby Kerpel, the same creators of De La Guarda. 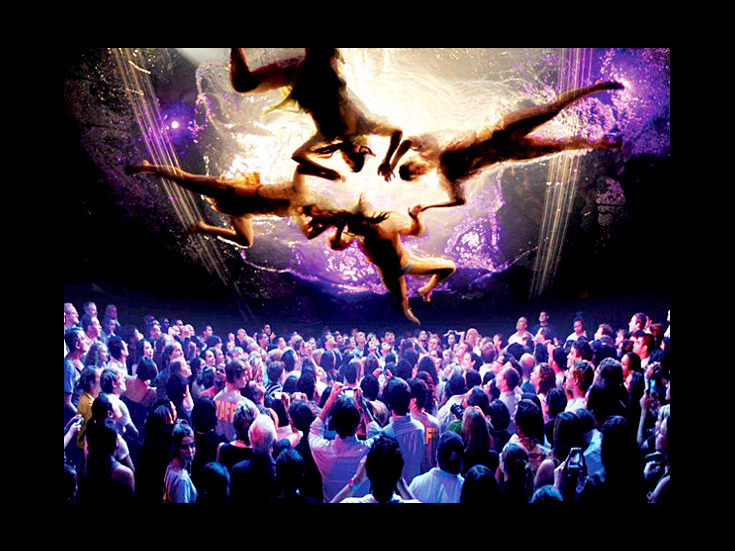 Fuerza Bruta premiered in Buenos Aires in 2005 and has been seen around the world including in London, Lisbon, Buenos Aires, Puerto Rico and the Edinburgh Fringe Festival. A new innovative and immersive spectacle.